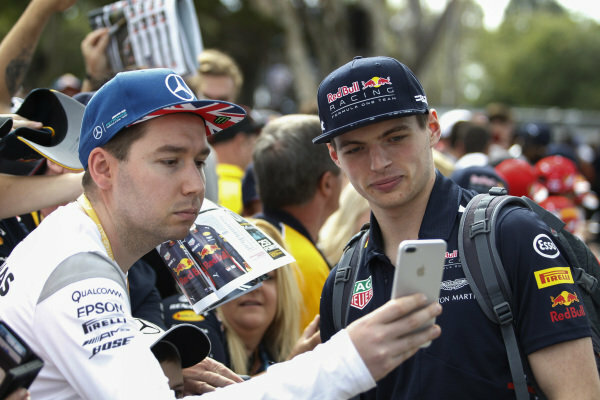 Max Verstappen (NED) Red Bull Racing fans selfie at Formula One World Championship, Rd1, Australian Grand Prix, Race, Albert Park, Melbourne, Australia, Sunday 26 March 2017. 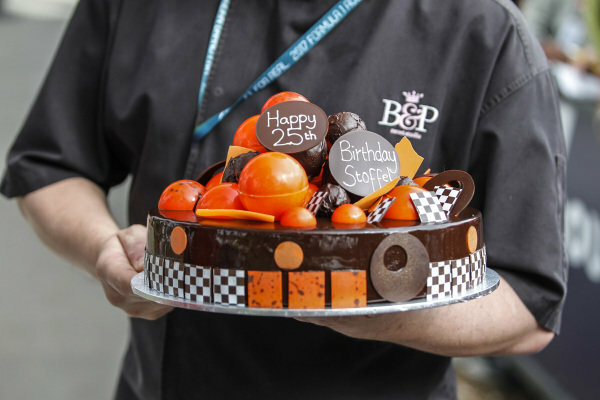 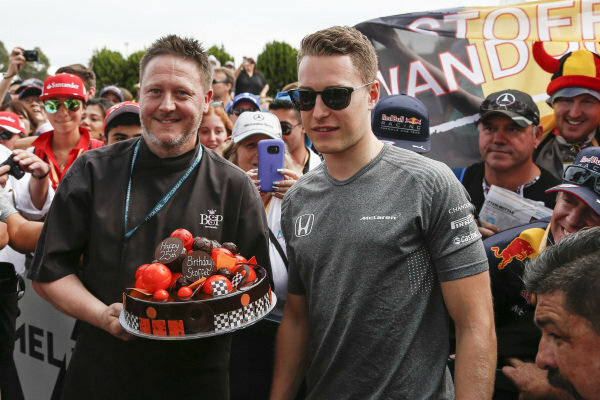 25th Birthday cake for Stoffel Vandoorne (BEL) McLaren at Formula One World Championship, Rd1, Australian Grand Prix, Race, Albert Park, Melbourne, Australia, Sunday 26 March 2017. 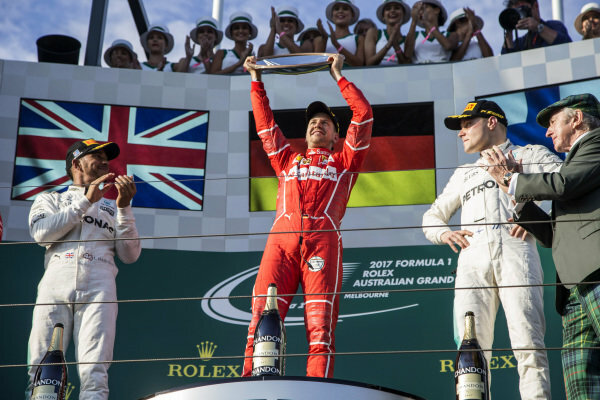 Drivers parade at Formula One World Championship, Rd1, Australian Grand Prix, Race, Albert Park, Melbourne, Australia, Sunday 26 March 2017. 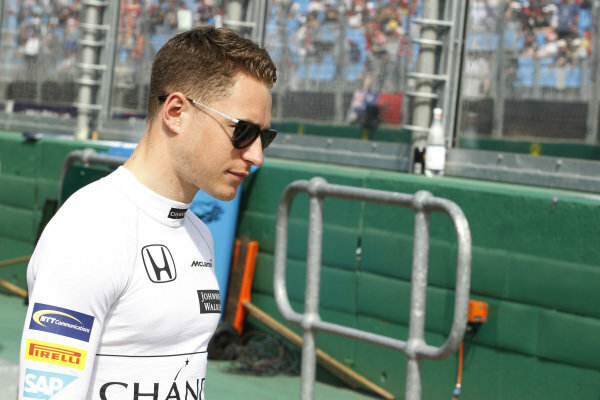 Stoffel Vandoorne (BEL) McLaren at Formula One World Championship, Rd1, Australian Grand Prix, Race, Albert Park, Melbourne, Australia, Sunday 26 March 2017. 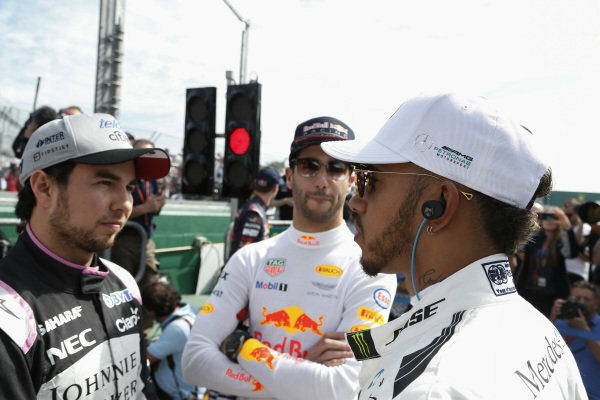 Sergio Perez (MEX) Force India, Daniel Ricciardo (AUS) Red Bull Racing and Lewis Hamilton (GBR) Mercedes AMG F1 at Formula One World Championship, Rd1, Australian Grand Prix, Race, Albert Park, Melbourne, Australia, Sunday 26 March 2017. 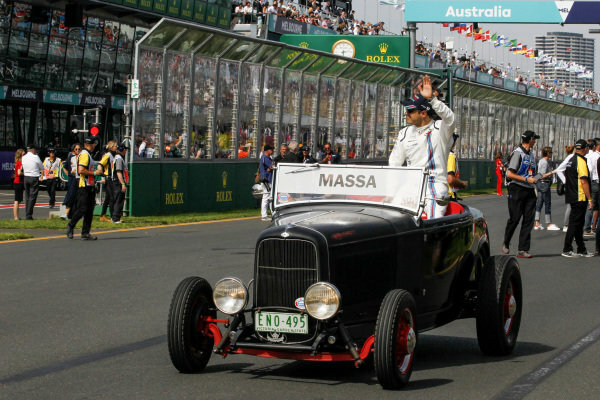 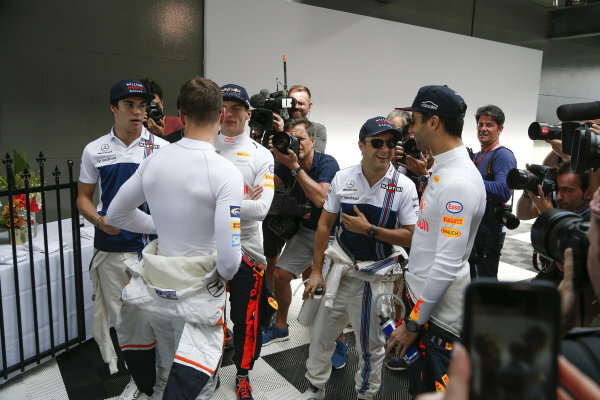 Felipe Massa (BRA) Williams Drivers parade at Formula One World Championship, Rd1, Australian Grand Prix, Race, Albert Park, Melbourne, Australia, Sunday 26 March 2017. 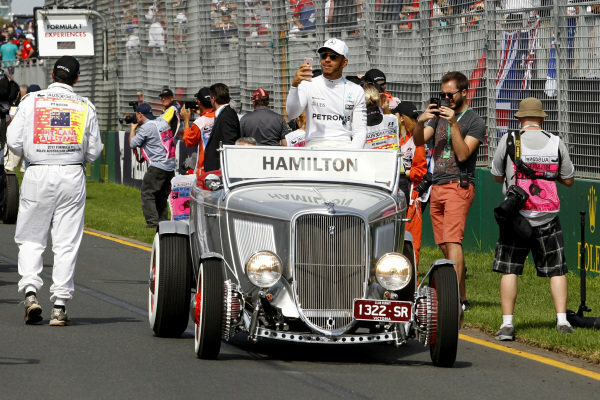 Lewis Hamilton (GBR) Mercedes AMG F1 Drivers parade at Formula One World Championship, Rd1, Australian Grand Prix, Race, Albert Park, Melbourne, Australia, Sunday 26 March 2017. 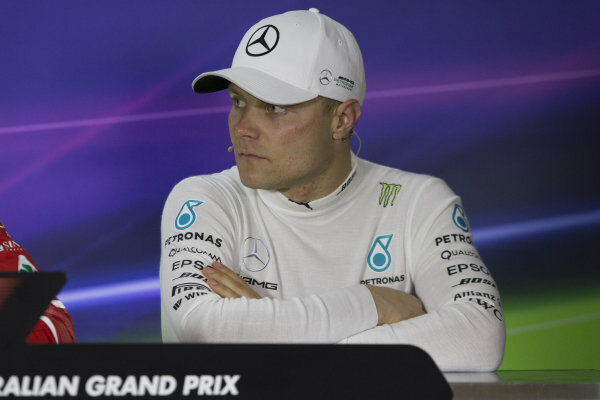 Valtteri Bottas (FIN) Mercedes AMG F1 in the Press Conference at Formula One World Championship, Rd1, Australian Grand Prix, Race, Albert Park, Melbourne, Australia, Sunday 26 March 2017. 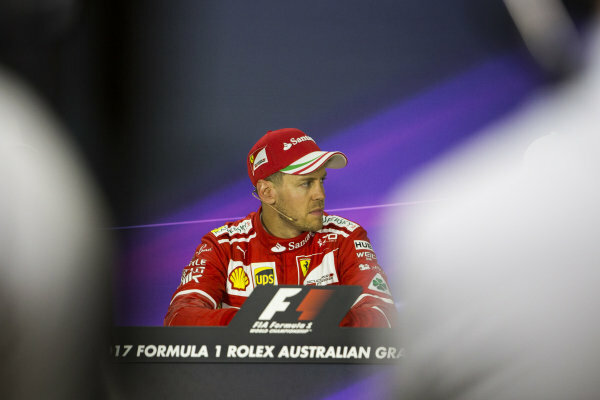 Race winner Sebastian Vettel (GER) Ferrari in the Press Conference at Formula One World Championship, Rd1, Australian Grand Prix, Race, Albert Park, Melbourne, Australia, Sunday 26 March 2017. 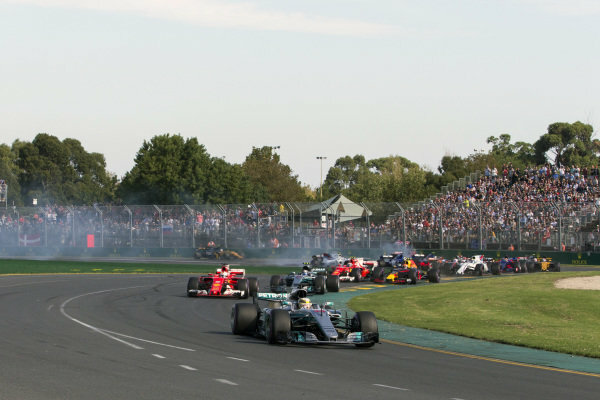 Lewis Hamilton (GBR) Mercedes-Benz F1 W08 Hybrid leads at the start of the race at Formula One World Championship, Rd1, Australian Grand Prix, Race, Albert Park, Melbourne, Australia, Sunday 26 March 2017. 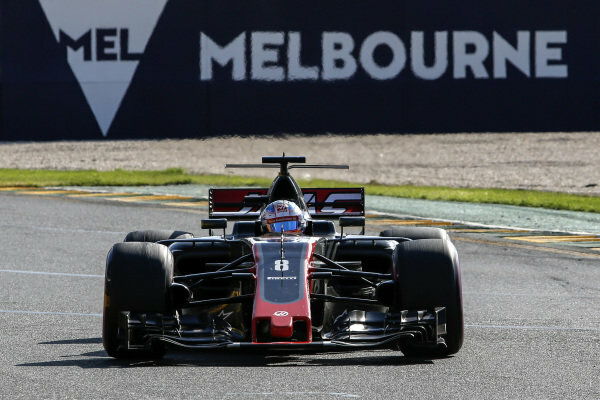 Romain Grosjean (FRA) Haas VF-17 at Formula One World Championship, Rd1, Australian Grand Prix, Race, Albert Park, Melbourne, Australia, Sunday 26 March 2017. 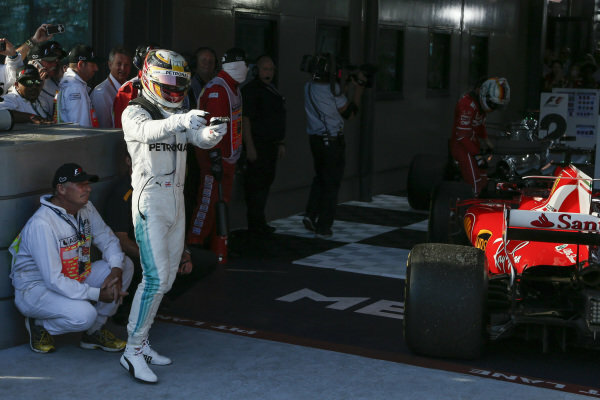 Lewis Hamilton (GBR) Mercedes AMG F1 celebrates in parc ferme at Formula One World Championship, Rd1, Australian Grand Prix, Race, Albert Park, Melbourne, Australia, Sunday 26 March 2017. 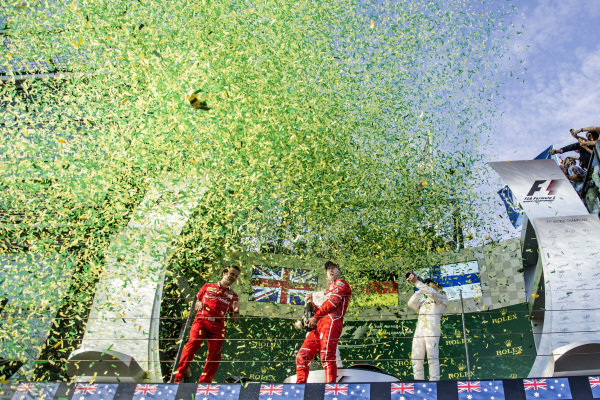 Lewis Hamilton (GBR) Mercedes AMG F1, Luigi Fraboni (ITA) Ferrari Head of Engine Trackside Operations, race winner Sebastian Vettel (GER) Ferrari and Valtteri Bottas (FIN) Mercedes AMG F1 celebrate on the podium with the champagne at Formula One World Championship, Rd1, Australian Grand Prix, Race, Albert Park, Melbourne, Australia, Sunday 26 March 2017. 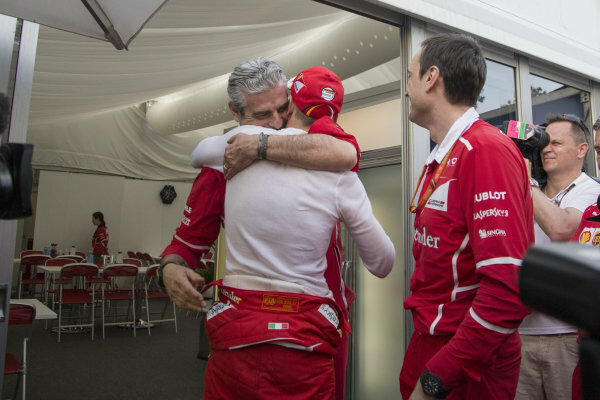 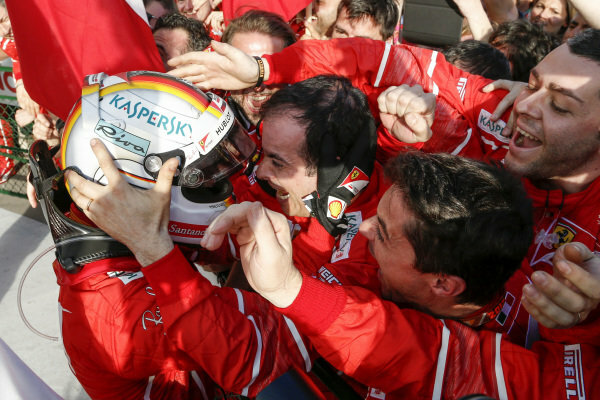 Maurizio Arrivabene (ITA) Ferrari Team Principal celebrates with race winner Sebastian Vettel (GER) Ferrari and Riccardo Adami (ITA) Ferrari Race Engineer at Formula One World Championship, Rd1, Australian Grand Prix, Race, Albert Park, Melbourne, Australia, Sunday 26 March 2017. 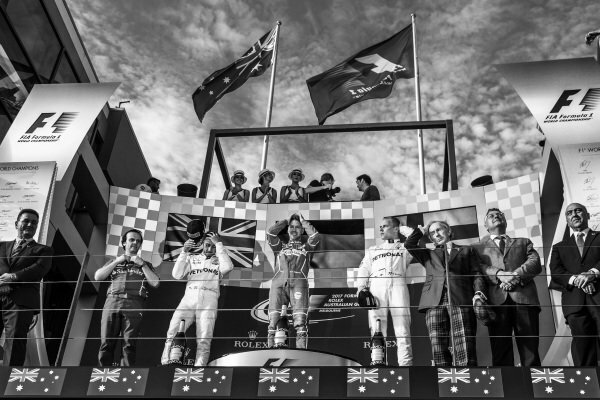 Lewis Hamilton (GBR) Mercedes AMG F1, Luigi Fraboni (ITA) Ferrari Head of Engine Trackside Operations, race winner Sebastian Vettel (GER) Ferrari and Valtteri Bottas (FIN) Mercedes AMG F1 celebrate on the podium with Jackie Stewart (GBR) at Formula One World Championship, Rd1, Australian Grand Prix, Race, Albert Park, Melbourne, Australia, Sunday 26 March 2017. 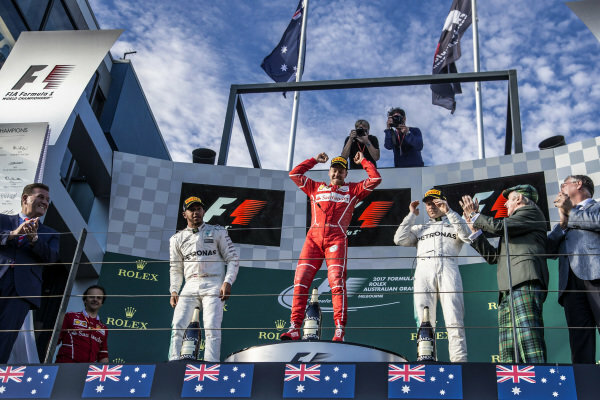 Lewis Hamilton (GBR) Mercedes AMG F1, race winner Sebastian Vettel (GER) Ferrari and Valtteri Bottas (FIN) Mercedes AMG F1 celebrate on the podium with the trophy at Formula One World Championship, Rd1, Australian Grand Prix, Race, Albert Park, Melbourne, Australia, Sunday 26 March 2017. 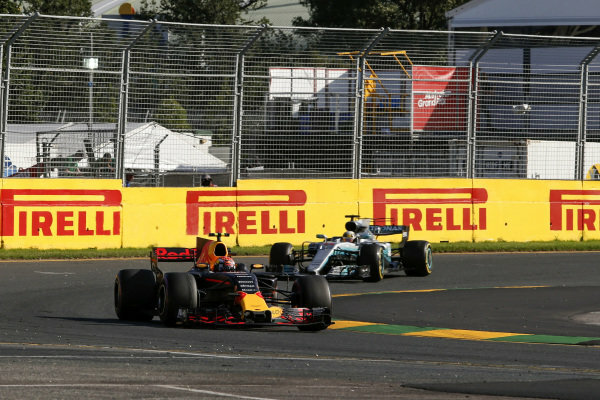 Max Verstappen (NED) Red Bull Racing RB13 at Formula One World Championship, Rd1, Australian Grand Prix, Race, Albert Park, Melbourne, Australia, Sunday 26 March 2017. 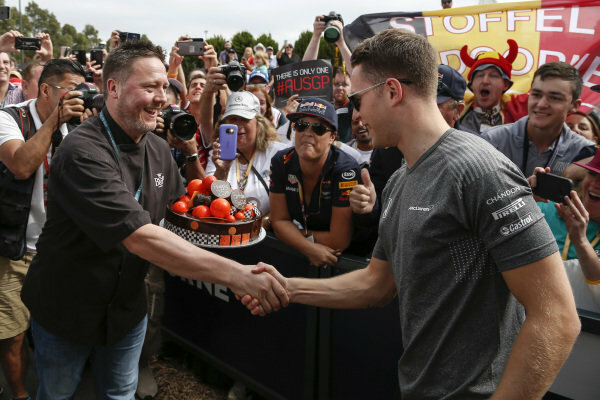 Stoffel Vandoorne (BEL) McLaren celebrates his 25th Birthday with a cake at Formula One World Championship, Rd1, Australian Grand Prix, Race, Albert Park, Melbourne, Australia, Sunday 26 March 2017. 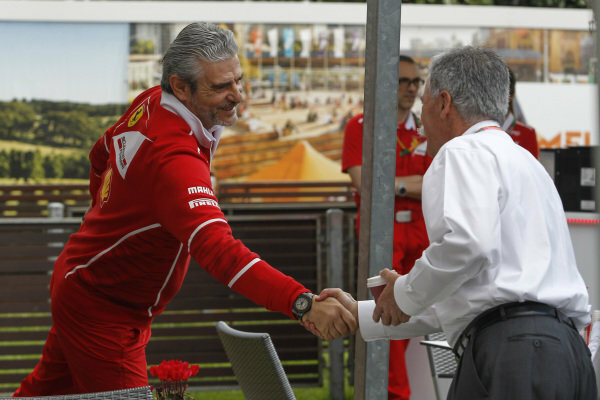 Maurizio Arrivabene (ITA) Ferrari Team Principal and Chase Carey (USA) Chief Executive Officer and Executive Chairman of the Formula One Group at Formula One World Championship, Rd1, Australian Grand Prix, Race, Albert Park, Melbourne, Australia, Sunday 26 March 2017. 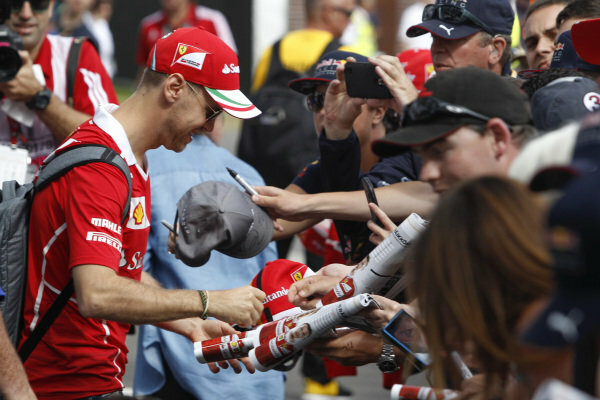 Sebastian Vettel (GER) Ferrari signs autographs ofr the fans at Formula One World Championship, Rd1, Australian Grand Prix, Race, Albert Park, Melbourne, Australia, Sunday 26 March 2017. 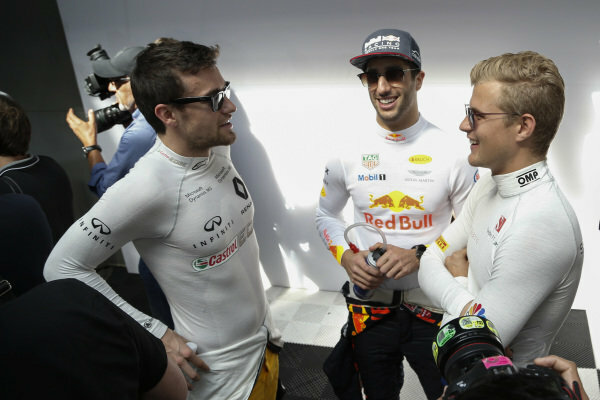 Jolyon Palmer (GBR) Renault Sport F1 Team, Daniel Ricciardo (AUS) Red Bull Racing and Marcus Ericsson (SWE) Sauber at Formula One World Championship, Rd1, Australian Grand Prix, Race, Albert Park, Melbourne, Australia, Sunday 26 March 2017.